Sporting youth academy is known for its great wingers – Luis Figo, Simao Sabrosa, Cristiano Ronaldo, Nani, Ricardo Quaresma – just to name a few. Iuri is their next graduate, who can become a great player. He was a true star of SCP youth teams scoring a lot of goals and getting plenty of assists. 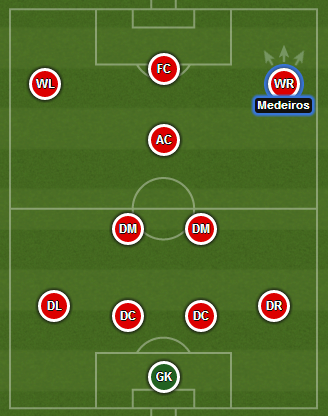 During NextGen Series 2013/2014 Sporting U-19 finished 3rd also thanks to Medeiros great performances. Currently, he is one of the leaders of Sporting B, which plays in Portuguese Second Division but it’s only a matter of time before he gets his chance in “Verde-e-Brancos” first team. It is also noteworthy that he has over 30 caps for Portugal youth national teams.